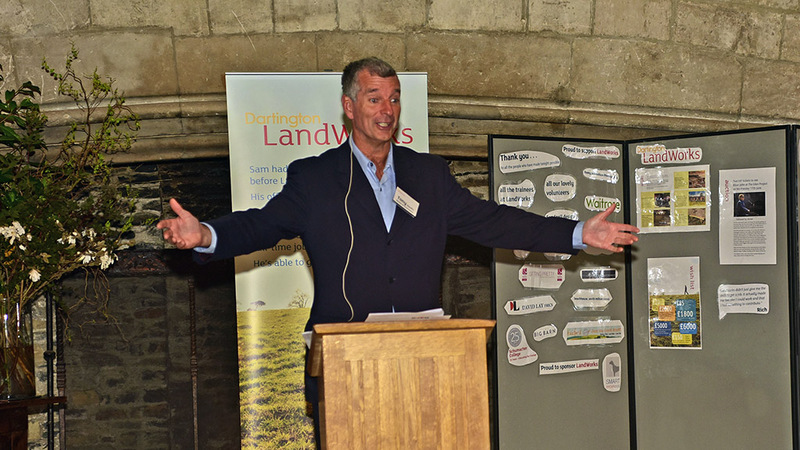 The first fundraiser for ground-breaking prisoner resettlement scheme LandWorks surpassed itself on 26 March by raising over £14,000 with the help of BBC comedian and bestselling author Tony Hawks. Tony Hawks and HM Chief Inspector of Prisons Nick Hardwick spoke at the event, attended by 124 guests, who were both existing and new LandWorks supporters from our community. Sat at tables named after well-known British prisons including Strangeways and Dartmoor, guests enjoyed a locally sourced three-course meal, bumper quiz, raffle and auction. The funds that were raised through ticket sales, the raffle and auction will build on a 2014 Big Lottery Fund award, to expand the scheme that helps current and former prisoners to secure jobs and avoid returning to crime. HM Chief Inspector of Prisons, Nick Hardwick, said: ‘Prison teaches you how to be a good prisoner. Projects like LandWorks teach people how to be human again, how to be citizens. Churchill had this phrase that “there’s a treasure, if only you can find it, in the heart of every man”… I think that’s what projects like LandWorks are doing; they are digging for the sometimes harder-to-find treasure that lies in these men’. Celia Atherton, Director of Social Justice said: ‘We’ve had some amazing sponsors tonight who’ve donated things, given enormous amounts of time or pointed us to things we never knew about. They certainly went much further than we dared hope to imagine and the event couldn’t have happened without them’. The LandWorks project, based on Dartington estate land, provides training, support and useful connections in the community through a network of over 450 supporters for former prisoners to develop the skills, self-worth and confidence to help them find and secure jobs. Former prisoners have already found employment in a range of roles since completing the scheme, which started in July 2013. Around £37,000 a year of taxpayers’ money is saved for every LandWorks trainee who does not re-offend and return to prison.